For the best and most memorable experience while playing the baccarat game, it would be a good idea to learn all you can about the casino game. In other words, before you play its in your best interest to learn the baccarat rules and strategy. This baccarat game can be very exciting with lucrative payouts to win, it’s no wonder that Canadian players want to get involved. That is why we at Maple Casinos have provided a brief and informative guide for the novice to be introduced to online Baccarat. The ultimate goal for a player to reach when playing baccarat is to hold a hand that amounts to, or is as close to 9 as possible. In this table game, you don’t want to be holding a hand that totals zero. The best way to learn how to play online baccarat would be to follow the steps below and check out our other guides on baccarat rules, for for example baccarat 3rd card rule. The cards are then turned over, at this stage the total value of the hand is announces. If either the player or the banker’s hand reaches eight or nine points, that score wins the game, the game is then considered over. The banker has three points and the player doesn’t have the eight points card. The banker has four points and the player does not have the zero, one, eight or nine point cards. The banker has six points and the player does not have either the six or the seven point cards. Tally up the values of your hand. The hand that is closest to, or equals nine is the winner. 2-9: Equal their face value. Jack, Queen, and King: Equate to 0 each. To add the total of your hand, you add the value of the cards and then drop the ‘tens’ digit. An example of how to calculate the value of your hand: 5+6=11=1. Or you might have something like this: 5+5=10=0, this hand is considered to be Baccarat and equates to zero. Baccarat is usually played using six decks which are reshuffled after each hand has been played. There can be numerous players that are betting at the same table. In Baccarat, you can bet on the player’s hand, the banker’s hand or you can bet on the possibility that there will be a tie. At Canadian casinos, Baccarat call is usually played with two cards that are dealt, and the possibility of a third card being drawn depending on the value of the hand. Through the usage of complex calculations, it has been proven that 50.68% of all non-tie hands will be won by the banker and 49.32% will be won be the player. In addition, tie bets occur around 9.55% of the time with a true reflection of the tie bet being at a ratio of 9.47:1. If you are wagering 100 credits, not forgetting the 5% commission on winning banker bets, for every one credit you wager, you will win 0.95 credits. Having an expectation to win 50.68% of the time, you would then multiply 50.68 by 0.95, this will give you an answer of 48.15. However, you can also expect to lose around 49.32% of the time, which results in a difference of 1.17. We can therefore say that the house edge on banker bets are 1.17%. If again, you are wagering 100 credits, and you know that tie bets occur 9.55% of the time, divide 100 by 9.55%. This will give you an answer of 10.47. Take into account however that you will receive your original bet back, this now changes the odds to 9.47:1. So now, we divide the difference of 10.47 by 1.47, which results in 14.4% advantage. Players may be tempted by the 8:1 payout, however, the odds are most definitely not in their favour. All-in all, it can be said that despite the 5% commission that is implemented on the banker bet, logic dictates that players would be able to expect far more wins on this bet. This version is simply a game of luck and chance due to the players ‘moves being forced by the cards dealt. The translation of ‘Punto Banco’ is ‘Player vs. Banker’. Punto Banco is the preferred version of the game in North America. This is the preferred version of the game in France. It is also the original Baccarat game. Chemin de Fer’ can be translated as ‘Way of Iron’, or rather ‘railroad’. The name of the game may originate from the fact that the cards were traditionally dealt out of an iron box. Both ‘Baccarat en Banque’ and ‘Chemin de Fer’ allow you to make choices which require a certain level of skill. At Maple Casino, you can learn how to play online Baccarat as well as a phenomenal amount of online casino games. 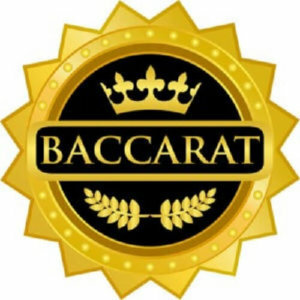 Baccarat is a card game that was created by King Charles VIII, in France in the 1400s. It’s a variant of the Italian Baccarat and is enjoyed by people all over the world. For many years, Baccarat was not a very well-known game as it was mostly played by the world’s wealthiest, rather than the average gambler. However, in the 1980’s, casinos aimed to cater for the average player and began offering games such as mini-Baccarat which moves much faster than the original game. Push: Betting on one of the hands that ends up in a tie. Hopefully, this short but informative tutorial has helped you with Baccarat basics and will send you on your Baccarat journey with the essential knowledge needed to play the game. Is the Online baccarat payout the same if one makes a bet on the banker’s hand? 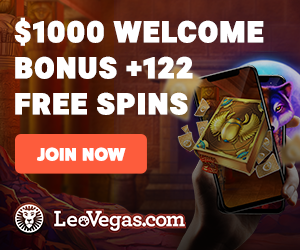 Can one play Online Baccarat for free? Yes. Free play is for players both new and experienced to practice their gaming skills. How are cards valued in Internet Baccarat? Cards in baccarat call are weighed differently depending on how they are played in different games. How can one know if they have a good hand in Baccarat? Players have to know and understand the baccarat rules during buy baccarat online . Player’s objective will be to get their hand value of eight or nine. Can a player bet on the other player’s hand instead of their own? Yes, they can bet on it. Betting on others hands is possible. Which bet has the best odds? According to careful calculations, your odds are probably the greatest when betting on the banker, despite the 5% commission that is implemented. Many think that due to the 8:1 payout on tie bets, that it is the bet to place, this is not true. By placing a tie bet, you are taking a great risk as the house edge is 14.4%. So even though the payout may be high, the odds of you winning that payout are quite slim.